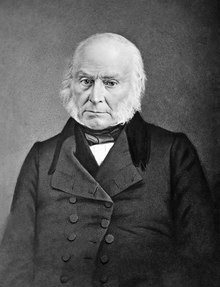 Memoirs of John Quincy Adams, comprising portions of his diary from 1795 to 1848 (1874), edited by his son Charles Francis Adams. Numerous scans on Internet Archive. “Adams, John Quincy” in Encyclopædia Britannica (9th ed., 1878). This page was last edited on 14 May 2018, at 01:57.